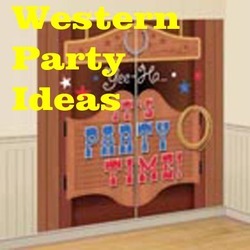 Find lots of ideas, photos, tips and items to use in a western, country, rustic, redneck and outdoors hunting and fishing themed weddings. There are many sub themes to a country, western or rustic wedding and I know that you will want to narrow down that theme a little more. I have pulled together some designs that include horses, barnwood, cowboy boots, country flowers, burlap. leather, horseshoes, rope and even barbed wire. WOW, that's a lot to think about but it is one of the earlier considerations when planning a wedding. Everyone likes to add a personal touch to the wedding cake, attire, decorations and the reception. You may be doing all the planning yourself or using the services of a wedding planner but you will find lots of ideas to work with. Prepare a budget that you can work within and stretch it some with DYI wedding tips. Many of these pages contain information that can be shared across several of the country style wedding themes so have a look around. Country Style weddings and receptions can be held anywhere and much of that depends on what you want, what's available and your budget. Whether you decide to have it at your church, a hotel ballroom, a barn or out in a pasture, it's your wedding. Create your own cupcake toppers for bridal showers, receptions and when it's time... even the baby shower. Here are the easy instructions and free printables that you can use to make these. DYI cupcake topper ideas and free printables. Western, country, Farm and Rustic themed wedding gift wrapping paper. To add some glowing elements to your reception, check out glow party ideas.